The airline industry is a dynamic industry indeed and has become the major provider of public transportation for Americans traveling between the nation's cities. The airlines are in business to transport people from one place to another and could not function without the help of many people on the ground, including those who take reservations and sell tickets, as well as those who help keep the airplanes operating and on schedule. Career opportunities with the airlines vary widely. The Occupational Outlook Handbook groups baggage handlers in the category of handlers, equipment cleaners, helpers and laborers. In the United States, 1,737,000 people work in those fields. The baggage and air cargo handler loads and unloads baggage, air mail, air express, and air cargo shipments. He or she operates baggage tugs, conveyors, fork lifts, and other baggage and air freight handling equipment. The Baggage Handler is responsible for loading and unloading baggage. They may lift heavy luggage, mail sacks, and fasten freight under pressure and time. They use trucks, forklifts, baggage carts, and conveyors to load aircraft in a safe and cautious manner. These materials are loaded in the baggage compartments (belly) of the aircraft. Almost all work is done outdoors and uniforms are required for security purposes. These employees work on arriving and departing aircraft which provides a varying work schedule in accordance to the airlines flight schedule. Training is usually done on the job. The average starting salary is five to twelve dollars per hour. The baggage and air cargo handler loads and unloads baggage, air mail, air express, and air cargo shipments. He or she drives baggage tractors and operates conveyors, fork lifts, fork trucks, and other baggage and airfreight-handling equipment. Machinery also is used to sort and route baggage and air cargo to and from various flights. Baggage Handlers are required to wear uniforms for security purposes and to indicate they are part of the crew. Almost all work is done outdoors on noisy, crowded ramps in all kinds of weather. Baggage handlers must be able to perform ramp and cargo functions. Baggage handlers must do a considerable amount lifting and moving of baggage, mail sacks, and air express shipments and pushing and positioning of air cargo. Employees handle customer baggage at several points between customer departure and arrival. They lift heavy luggage, under pressure and quickly onto carts and conveyors. The conveyor then carries the load to the door of the airplane baggage compartment. Baggage handlers operate many pieces of equipment. These include ramp vehicles and complex pieces of equipment including forklifts, a string of filled baggage carts, and conveyors that load baggage onto aircraft baggage compartments must be used in a safe and cautious manner. It is important to know which piece of equipment to use, and when. A valid drivers license is required to operate ground equipment. Because the job involves heavy physical work, it's important to be physically strong. Because of this, the career tends to appeal more to men than women. With airlines moving thousands of bags every day, things do occasionally get misdirected. Some baggage handlers deal directly with customer complaints about lost luggage and help trace the missing bags. These workers are called "baggage agents." Baggage agents may begin their career on the ramp or in some other area of customer relations with an airline. Baggage handlers are part of a very important grounds crew team and, are trained to deal with large and small problems. They must be attentive at all times to their surroundings. There is little room for error. Something that seems as simple as a broken locking device in the cargo hold can allow cargo containers loaded with baggage to shift during the flight. If that happens, the head office must be notified for guidance on reconfiguring the load so all the containers are locked in place. Potentially, this could delay the flight. Safety is an important responsibility of all grounds crew. It is important to stay alert and pay attention to equipment and others around you. You can't be daydreaming because the result of a mistake can get you suspended. Whatever happens, the baggage handler has to act quickly, efficiently and safely to ensure flights remain on schedule. The job of a baggage handler requires adaptability because of changing hours and schedules. Shift work is usually required and baggage handlers must be available to work day, evening, night and weekends shifts. These employees work on arriving and departing aircraft, which provides a varying work schedule in accordance to the airlines flight schedule. This can be very stressful. Some unionized baggage handlers work shifts between eight and 11 hours long in a compressed workweek. This means employees may work four days on and then have three days off. Some baggage handlers are also responsible for cleaning the plane's cabin and preparing the plane for takeoff. Sometimes that means de-icing the wings, other times it means jump-starting the jet engine with a pneumatic air starter. Some also do cabin preparation and cabin grooming. These workers are called "station attendants." All personnel who have direct contact with the public or who need special clothing for utility or sanitary reasons (cleaners, mechanics, and kitchen workers) must wear uniforms. Employees are usually required to purchase their own uniforms; this requirement reduces the amount of personal clothing for working hours that is needed. The airline industry is a young industry, and it attracts youth. Morale is generally high among employees, who seem to develop a high degree of loyalty to their company and to the airline industry. (There are exceptions. After buyouts and mergers, employees often feel that the incoming management has disregarded their needs.) Jobs with the airlines tend to carry an aura of prestige in the community, reflecting the vitality of technological progress and the romance and excitement associated with air travel and faraway places. This ramp serviceperson works outdoors on noisy, crowded ramps in all kinds of weather. He or she must do considerable lifting and moving of baggage, mail sacks, and air express shipments and pushing and positioning of air cargo. Shift work is required, and a uniform must be worn. Typical baggage handler requirements include, at least 18 years of age, high school graduate or equivalent, ability to work varied shifts, and valid drivers license. During the interview process you must be able to provide a resume or employment history for the past 10 years including the names and phone numbers of a supervisors, address of residences for past 10 years, and names, addresses and phone numbers of 5 references. Baggage handlers are required to have comprehensive knowledge of airline codes and flight destinations to perform duties while on the ramp or in front of passengers. That knowledge comes through on-the-job training and experience. Baggage handler positions are typically entry level jobs that require little or no prior training. The minimum educational level is high school, but many baggage handlers say it's tough to get hired right out of high school. The airlines like to see some post-secondary education in either an academic or vocational field. In general, most airline jobs require a high school diploma. All workers, regardless of their jobs, are given some degree of on-the-job training. The average starting salary is typically around $8.50 per hour and can top out at approximately $20.00 per hour. The average full-time hourly wage for baggage handlers is $13.03, says the Occupational Outlook Handbook. Salaries, working conditions, and opportunities for advancement vary according to the size of the airline. The larger the airline, the greater the opportunities and the stiffer the competition. Employees enjoy benefits such as paid vacation, sick leave, life insurance, dental insurance, group accident and sickness insurance, retirement income plans, credit union membership for savings and loan purposes, and free air travel or air travel at greatly reduced rates for employees and members of their families. In addition, they often receive large discounts for travel on international airlines and for hotel accommodations at holiday destinations. Employee suggestion programs with cash awards are another benefit. Airline jobs are located in every city that airlines serve and even in a few they do not serve. Of course, the larger the city, the greater the variety of job opportunities. 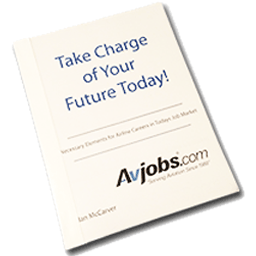 The largest concentrations of airline career opportunities are in New York, Chicago, St. Louis, Los Angeles, San Francisco, Miami, Detroit, Denver, Kansas City, Atlanta, Boston, Cleveland, Salt Lake City, Seattle, and Washington, D.C. An applicant may obtain career information by writing directly to the airline. Foreign airlines flying into the United States hire Americans to handle their passenger and air cargo business and to service their aircraft during stopovers. These employment opportunities should not be overlooked. Baggage handlers work for airlines at airports. Many are unionized. For example, the International Association of Machinists (IAM) is the union representing employees working with baggage for United, American, Alaskan Airlines, USAir, Air Canada and Canadian Airlines. There are regular openings in this field at the entry level. New workers replace those who have advanced to other jobs or who have retired. There is usually not a lot of turnover in unionized staff because of the decent wages and excellent benefits. Promotional opportunities are limited due to the nature and duties of a baggage handler. Advancement opportunities include moving up to a supervisor or other administrative position. Within the airlines, workers can move from being a station attendant to being a baggage handler. Moving from the outside jobs to the inside jobs, even in the baggage sorting area, can take several years of seniority. Promotions are almost always made from within the company. Usually vacancies are filled by advancing the best-qualified workers from the ranks. Merit promotions are made periodically on the basis of the employees work. Shift work is a characteristic of many jobs with the airlines; passengers and cargo travel all hours of the day and night, and passenger and air cargo services must be available. Dissatisfaction with shift work is the most common cause of job turnover, even though hourly wages are increased for workers on afternoon and evening shifts. Smoking on the job is prohibited for those who deal with the public or those who clean, fuel, or overhaul the aircraft. Air travel in the U.S. grew at a rapid pace until 2001, expanding from 172 million passenger enplanements in 1970 to nearly 615 million in 2000. However, over the next 3 years, a combination of factors, the events of September 11th, 2001, an economic recession, and other factors ,combined to reduce traffic back to 1995 levels. After September 11, 2001, air travel was severely depressed. Nevertheless, air travel remains one of the most popular modes of transportation. Training is usually done on the job by the employer. On-the-job training is given when new equipment is put into service or when better methods of accomplishing a job are developed. Some companies may contract out their training to a third party agency. Some private technical schools offer courses in airline operations (such as reservations, ticketing, teletypist and flight attendant training). This training may give an applicant an advantage, but remember that each airline has its own training procedures. Therefore, you should check with the airline to which you are applying to find out what pre-employment training it requires. In general, most airline jobs require a high school diploma. All workers, regardless of their jobs, receive on-the-job training. Some private technical schools offer courses in airline operations such as reservations, ticketing, teletyping, and flight attendant work. This training may give an applicant an advantage, but, the airlines have their own training procedures, so interested applicants should check with the airline of their choice to see what pre-employment training is required. The airline industry updates its equipment and working methods periodically, which makes it necessary for personnel to be retrained from time to time. Few industries are so involved with employee training programs. The airline industry gives employees new skills at the company s expense and keeps them abreast of new equipment techniques. Whether the job is that of a pilot, mechanic, flight attendant, baggage handler, ticket sales agent, or a manager, periodic training is mandatory. These large training programs provide opportunities for employees to advance to jobs on training staffs.